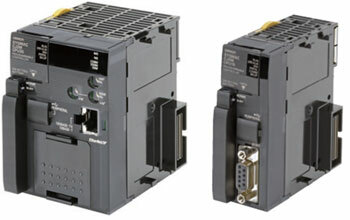 SYSMAC CJ1&CJ2M | A.K.MECHATRONICS CO.,LTD. powerful CJ1G/H CPUs. All CJ1 Series use the same instruction set and I/O modules, so existing programs and equipment can be easily reused in small and large-scale installations. A common memory area and powerful serial link among nine CJ1M CPUs can help integrate processes or coordinate activities. The accumulated experience andadvancements in technology now result in CJ2M; fully compatible, yet fully new. FTP data transfers, and more (CJ2M-CPU3@). 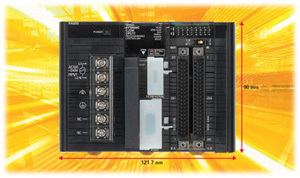 A Serial Option Module can be mounted to add RS-232C or RS-422A/485 communications ports (CJ2M-CPU3@). terminal blocks, is available to meet your requirements. CJ1W-CT021 High-Speed Counter Module,Input frequencies to 500 kHz.,32-bit counting range. PLCs, and the DeviceNet and CompoNet open networks.